All too often, implementing a time tracking tool is met with significant employee resistance. In the worst case scenarios, time tracking tacks on up to another hour each day in busy-work. And that just doesn’t work itself into an employee’s already busy day. As a company, to engage your employees on the importance of time tracking to your business, you need a lightweight, user-friendly tool to make it happen. That’s why we’ve partnered with Timeneye to use our native time tracking functionality within Redbooth to be taken up a notch through their in-depth reporting capabilities. While larger firms often built custom time-tracking tools in-house, Grassi saw that small to medium size professional services firms weren’t able to find a tool that allowed them to cost-effectively time track. Timeneye set out to fill this gap, and to keep a narrow focus on enabling better time tracking within the productivity tools professional services firms and consultants were already using. 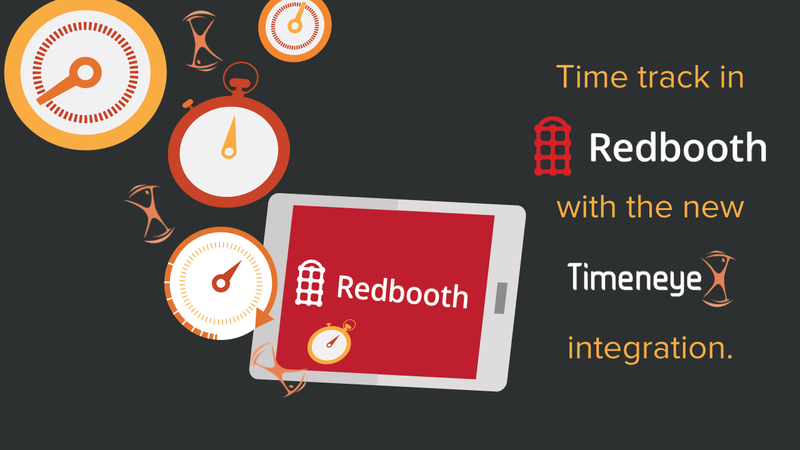 From Redbooth, just open the task you want to register time for and track it, using Redbooth’s native time tracking functionality. In a few short minutes, Timeneye will sync the data between the platforms. 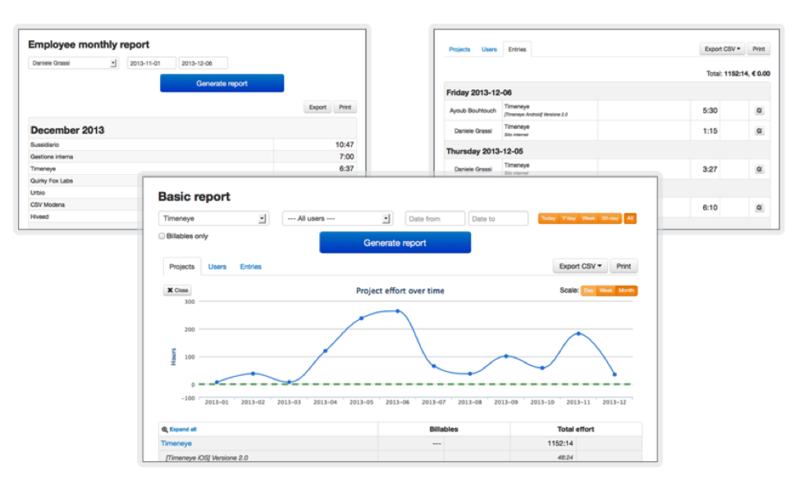 Then, from Timeneye, you can extract detailed reporting, based upon whatever parameters you need. No onerous process or extra steps, by design. You can access Timeneye on the go through mobile apps for Android, iOS and Windows phone. And data can be easily exported to Excel. As an introductory offer, Timeneye is offering all Redbooth customers 30% off for a full year on any Timeneye plan. To take advantage of this offer, signup for Timeneye at http://www.timeneye.com/redbooth-time-tracking. Integrate your Timeneye account with Redbooth and before your trial ends, then contact Timeneye support and mention this offer to have your discount applied. Looking for more information on other Redbooth integrations that can help streamline your workflows? Check out our recent blog post on Redline’s visual feedback tools, or browse our list of integrations. Raj joined Redbooth in late 2013. Raj was CTO/Founder at Mobozi prior to joining Redooth. He has over 10 years of application development and product management experience and spent significant number of years leading enterprise application development for several state and federal agencies.He holds an MBA and a MS in Computer Science from the University of Central Florida.